Today there are selections for the American Connection system, which you can get for free here. You'll recall that we researched trainers that profit when their horses start at even money or shorter and jockeys that profit when their rides start at even money or shorter. The trainer version is not yet in profit, but it is early days. Since we published the rules there have been 6 wins from 11 runs and 0.87 of a point loss at industry SP. The jockey list has done better with 6 wins from 9 runs and a 1.76 point profit at iSP. 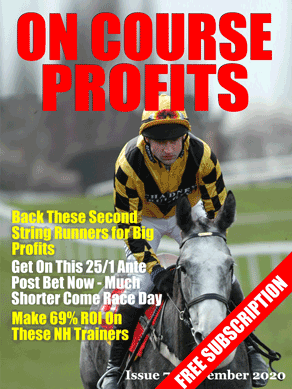 Their top bet today goes at Windsor and if you are a new user at the site you can get that for free.